While Los Cabos and the beaches that made it famous are enjoyed by many, there are other stretches of idyllic bliss in the Cape region, not far from the explorer's reach. The East Cape extends from several miles east of San Jose del Cabo along the Sea of Cortez, to north of Punta Pescadero, Los Barriles and Rancho Buena Vista. All are names long popular with fly-in fishing diehards; but perhaps not so familiar to many others. That's changing as more people discover this region where quiet hideaway hotels coexist with new restaurants, supermarkets and private residential enclaves. Just an hour by paved Highway 1 from Los Cabos International Airport, the north end of the East Cape is attracting both devoted seasonal veterans and an increasing number of first time visitors. Some say the East Cape hubs of Buena Vista and Los Barriles, magnificently situated on Bahia Las Palmas, are the Los Cabos of twenty years ago. 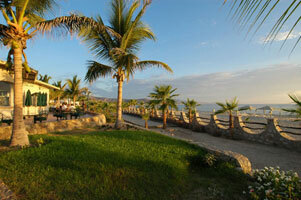 Famous for its gamefish, Bahia Los Palmas stretches from Punta Pescadero south to Punta Arena Sur. 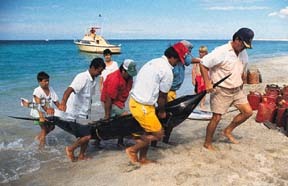 Blue and black marlin are plentiful from June to December, and the area explodes as the fishing resort crowd moves in. 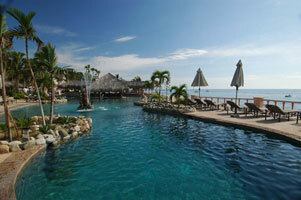 Roosterfish, yellowtail, wahoo and tuna are also abundant. Whatever your expectations, rest assured, there are miles of isolated coastline, pristine waters and an ample array of sports and activities for every taste, from diving to boardsailing. The remoteness of the area is part of the appeal. Whether you explore the coast by car or boat, marine life is visibly plentiful. Whether you stay in the serenity of your resort, or venture into Los Barriles and sample the blossoming culinary scene, your choices will be laid back, rustic and satisfying. Quiet and solitude prevail above all, the local evening custom mandates last call at 10 p.m. Later, stroll the Sea of Cortez by moonlight, take a dip in your hotel's pool and unwind. You're on the East Cape, where the mood is serene and invigorating and life is at it should be. Copyright � 1996 - - All Rights Reserved - Los Cabos Guide � - Los Cabos Magazine � - Tyson Promotions Inc.